Mr. Ryan Rodlin joined the department in 2009 as the Drill Sergeant and has experiences in the fields of Music and Cadetting. In August 2004 he graduated from the Team Work High School, after which he became enlisted in the Jamaica Defence Force (JDF) Coast Guard as a Reserve Soldier. He is attached at the Permanent Staff Instructor (PSI) at St. James High School with the Jamaica Combined Cadet Force. 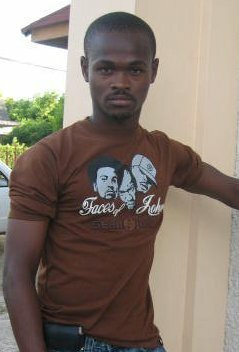 He is also a graduate of the Montego Bay Community College, where he holds a Diploma in Hospitality & Tourism Management. Presently he holds a position within the in the Hospitality Industry. Mr. Jeffrey Smith has been associated with the Sam Sharpe Teachers' College Community Band since February 1998 and has served in various capacities from Band Member to Principal Clarinetist to its Marching Band Director in 2010. 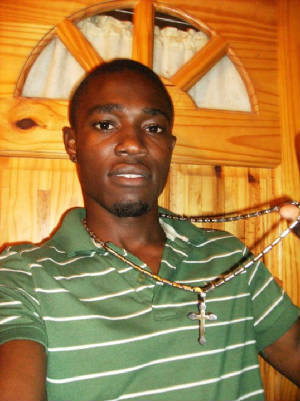 Mr. Smith is an avid and popular Disc Jockey known as "DJ Krazy Jeff" in Montego Bay. 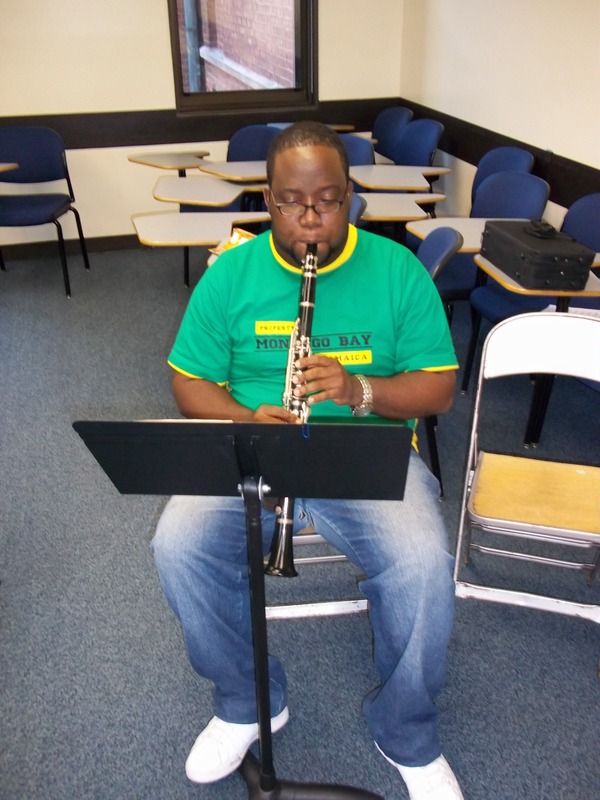 He has represented the community band at the Jamaica Cultural Development Commission's (JCDC) Festival of the Performing Arts - Music and the Western Jamaica International Music Festival. He brings to the post a wealth of experience in Marching Band Techniques and Drill Design and has been charged with developing a new and improved Marching Band Programme and new repertoire of Marching and Show Band Music. Mr. Smith is a graduate of the Anchovy High School and programmes of the Sam Sharpe Teachers' College Community Band. Mr. Vinton Haughton joined the Music Department in September 1997 and has served as Director of Bands since 1998. He is a graduate of Herbert Morrison Technical High School, Montego Bay Community College, Sam Sharpe Teachers' College, Western Carolina University and music programmes at Indiana State University and Elmhurst College in the United States. He holds a Bachelor of Science Degree in Education Administration from Western Carolina State University in the United States and a University of the West Indies / J.B.T.E. Diploma In Teaching with a major in Music from Sam Sharpe Teachers' College. He has participated in various seminars at the Edna Manley College for the Visual and Performing Arts in Kingston Jamaica. Mr. Haughton is currently a candidate for the MMus Degree from Northern Illinois University in Dekalb IL USA. He has held teaching positions at Mount Alvernia High School in Montego Bay. He is a regular participant in the annual "International Teacher In-Service Music Education Programme" at Elmhurst College in Chicago, IL USA. He is a member of the Jamaica Teachers' Association (JTA), Association of Caribbean Music Educators (ACME), Association of Music Teachers and Friends of the Arts (AMTFA). He holds membership on behalf of the Sam Sharpe Community Band in the World Association of Marching Show Bands since 2000. He is a founding member of the Western Jamaica High School Band Association (WJHSBA) and helps to co-ordinate the Annual Montego Bay Inter Band Clinic. He is also a guest conductor at the Western Jamaica International Music Festival (WJIMF) each year. He also and conductor in residence for the Young Jamaica Ensemble and amalgamation of the concert bands at Sam Sharpe Teachers' College, Herbert Morrison Technical High School, Mount Alvernia High School and Montego Bay High School for Girls. At present he holds a position with the Ministry of National Security in Jamaica.